This sedimentary deposit contains dozens of shallowly tilted, alternating bright and dark layers of varying thickness (1 to 10 meters). 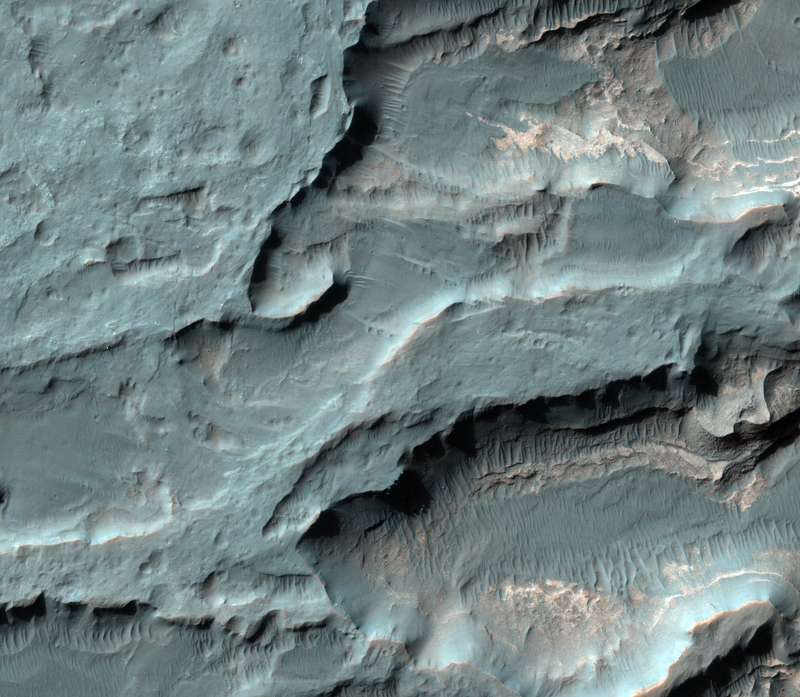 HiRISE terrain models reveal structures in these layers which are interpreted as lake-floor deposits. 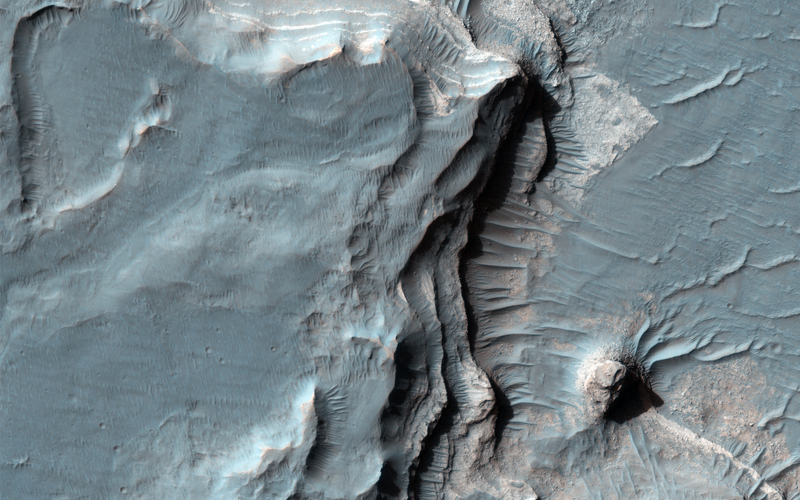 This delta is distinguished from other fan-shaped deposits on Mars by the presence of a preserved distributary network including lobes, inverted channels, and meander cutoffs. 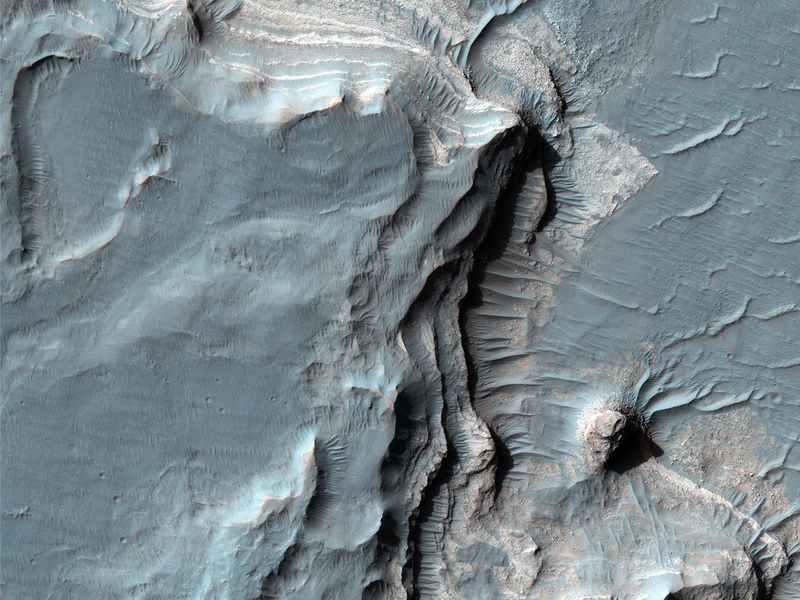 Another example of a fan with a distributary network can be found in Jezero Crater, which may represent a more degraded version of the same kind of system. This is a stereo pair with PSP_001534_1560.